Montebello, Que. 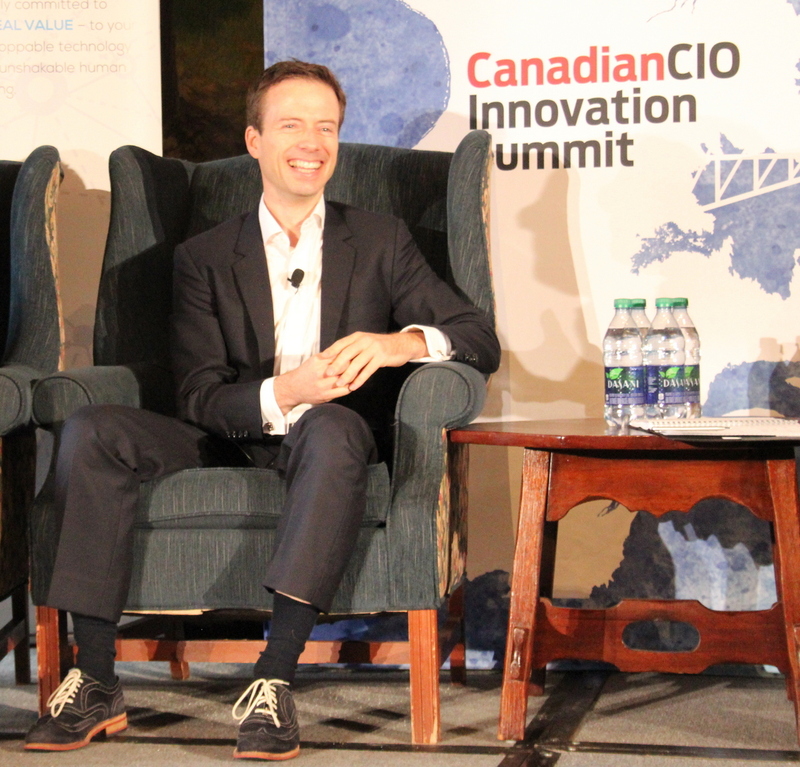 – Get ready for artificial intelligence to take a leap forward and have a more important role in society and your business in general, two of Canada’s leading machine learning researchers told ITBusiness.ca parent company ITWC’s Canadian CIO conference on Sunday. A new chapter for AI research is about to begin that will see machine learning used to write software instead of humans, said Graham Taylor, a professor at the University of Guelph and academic advisor at Next AI, an accelerator program that supports entrepreneurs with AI applications. Nicolas Chapados, chief science officer and co-founder of Element AI, a startup that’s focused on transferring academic prowess in AI into businesses also spoke on a panel addressing the topic. The PhD holders went deep on discussing their work in constructing the algorithms involved in machine learning applications that exist today. They also made clear to CIOs that it’s time to get started on examining how AI can fit into an organization’s processes. Taylor addressed the key moment that machine learning research has reached, first by defining AI as software that is created by machines. Graham Taylor, professor at University of Guelph, speaks about AI at the Canadian CIO Summit in Montebello, Que. 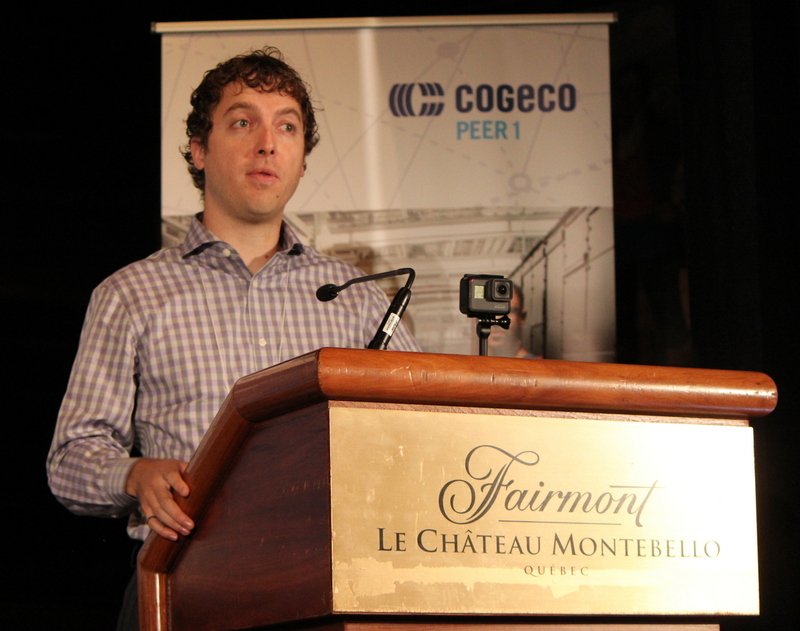 Taylor’s work has focused on computer vision, and the software architecture for his system has reached a staggering level of architectural complexity. It involves hundreds of thousands of layers of depth in its model, akin to other advanced computer vision systems in development. Yet results show that there are no longer improvements to the accuracy of these computer vision systems, despite becoming increasingly complex. That bucks the trend from the research conducted to date and shows the current approach has hit its saturation point. Taylor’s own work is now veering towards a multi-modal approach that combines many different sensory input to teach machines how to learn more like a person learns. Meanwhile, Chapados says that we’re close to a flipping of the paradigm in the enterprise. Some industries are more immature than others, he acknowledges. Farming and construction are examples of industries that haven’t implemented AI to assist in core processes, but that’s where new models in AI will make a huge difference. To get started down the AI path, organizations will need to consider what data is being collected. Since most IT in organizations today is made to support human processes, there may be judgments being made for which data is just not collected. But if you put in the effort to get to a reasonable baseline of data, there’re off-the-shelf AI services that could deliver your process. Nicolas Chapados, chief science officer, Element AI, speaks on a panel at the CIO Summit in Montebello, Que. Another change to consider is that most AI applications have involved making predictions. Taylor says that other researchers have identified how the first effect of AI adoption will be a reduction of costs for goods and services that require predictions being made. But this may change soon too. He points to the suggested responses to email that Google suggests on Android. A machine is doing the creation for the emails, but the human control is still there to select the message or write take over and write their own message. Clutching onto the message of AI change coming, IT World Canada’s CIO Jim Love urged his peers to be visionaries from the podium.